Stats on the queue were crunched at a local Starbucks, turned into an exit poll sheet and handed out to journalists before doors opened. With valuable, and humourous research at the heart of the PR campaign, press coverage reinforced AQA’s ability to answer questions to any question, encouraging others to test the service. Within 2 hours of the launch the first article appeared as the main tech story on the Guardian, and tweeted out to over 1 million followers. Within 2 days over 200 pieces of coverage were secured with key pieces in top tier targets The Sun, Mirror, Daily Express, Daily Mail, Daily Telegraph & MacWorld. 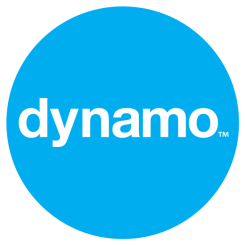 Further more, Dynamo persuaded the first person in the queue to wear an AQA t-shirt – which gained the brand worldwide broadcast coverage via BBC Breakfast, CNN, C4 News, Daybreak and Reuters as well as being on the front cover on the FT Weekend and Daily Mirror the next day. Texts and new customers generated from the coverage exceeded all expectations and targets, generating more than a 200% return on PR investment within the month.